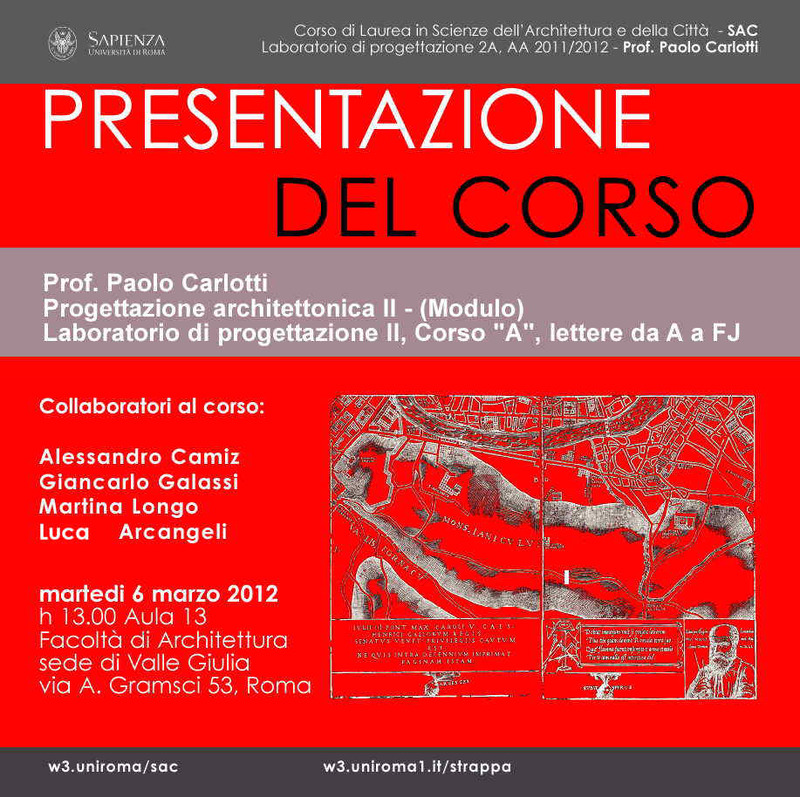 « Master di Progettazione Architettonica per il Recupero dell’Edilizia storica e degli Spazi pubblici – P.A.R.E.S. This entry was posted on venerdì, marzo 2nd, 2012 at 15:11	and is filed under avvisi. You can follow any responses to this entry through the RSS 2.0 feed. Both comments and pings are currently closed.